Bombardier has announced its Chinese joint venture Bombardier Sifang (BST) has delivered 184 CRH1A-A new generation high-speed train cars for two contracts with China Railway Corporation (CRC). The order was delivered in two stages: 112 cars which entered passenger service in October and 72 cars starting service from December, 2017. The first CRH1A-A new generation high-speed train car was put into passenger service on China’s evolving high-speed network in November, 2016. 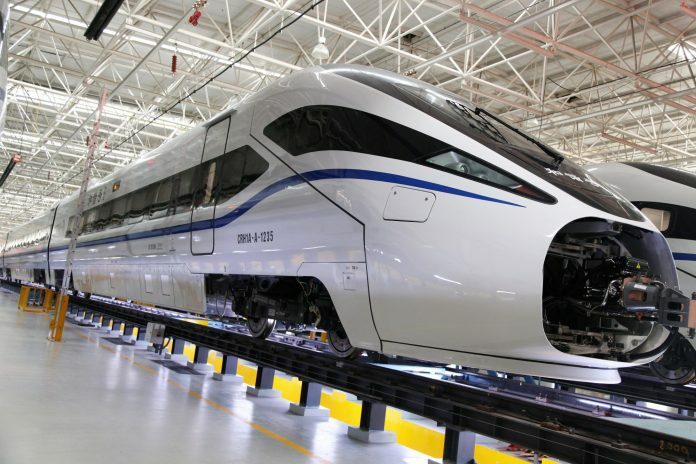 President of Bombardier China Jianwei Zhang said: “We are very proud that our latest CRH1A-A trains are contributing to increasing connectivity across South China. “With this delivery, Bombardier’s Chinese joint venture BST has delivered more than 3,500 high-speed railway passenger cars to our Chinese customer, reflecting the strength of our technology and expertise.